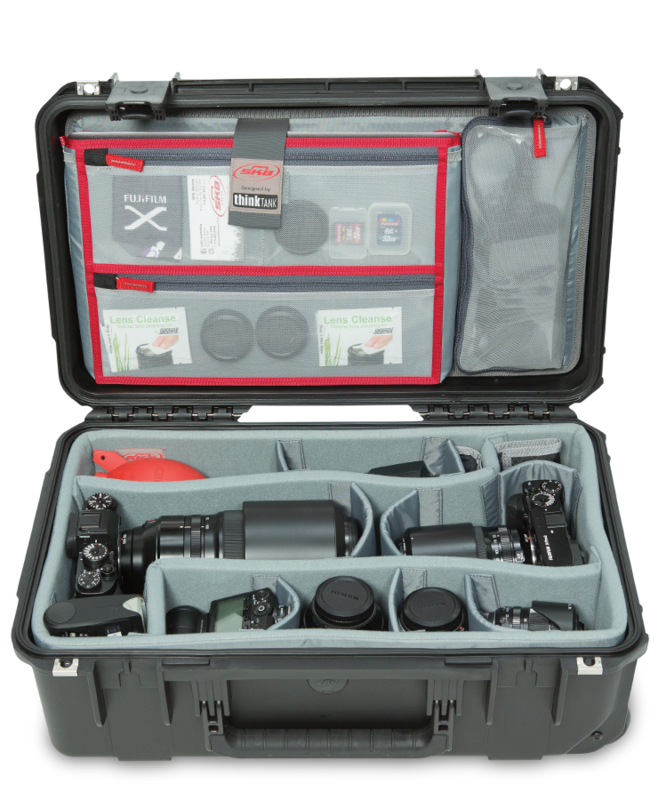 Travel often and want a dedicated hard case for safely transporting your camera gear? SKB Cases and Think Tank Photo teamed up to release a range with this in mind. I've always been a large backpack kind-of-girl when traveling with my gear, so I was thrilled to try out something completely different to what I am used to. 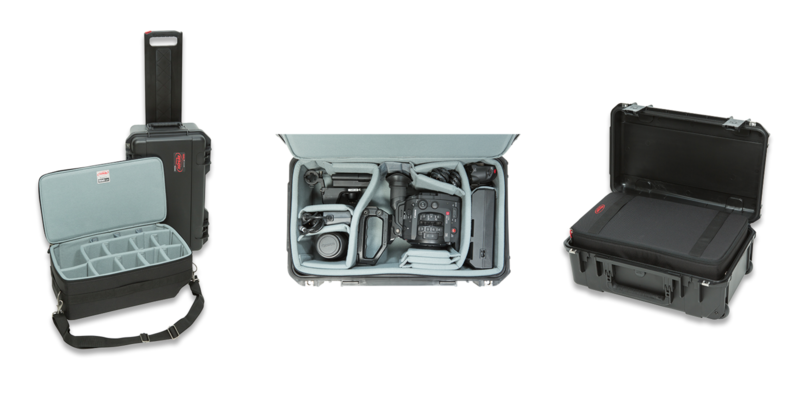 These Flyer Series hard cases come manufactured by SKB Cases, a company that has been releasing protective equipment cases in California for nearly 40 years, with the last 6 years being spent on shifting focus towards photographers and their requirements too. Teaming up with Think Tank Photo, who brought knowledge on soft cases to the table, the two collaborated to create all-round well-designed travel cases for photographers, taking in account the interior as well as the exterior. 15" x 19" x 6"
From a small carry-on to a larger checkable case, and all the way to an extra large one that'll look after your lighting stands, you have a good choice of options based on what you shoot with and how much of it needs transporting when you travel. I opted for a happy medium and went with the 3i-2011-7, which measures 20" x 11" x 7" externally and currently retails at $229.99. If you are struggling to decide between a hard and soft case, SKB Cases also offer a removable zippered divider insert for the 3i-2011-7 case, which essentially is a soft removable case within a hard case exterior. 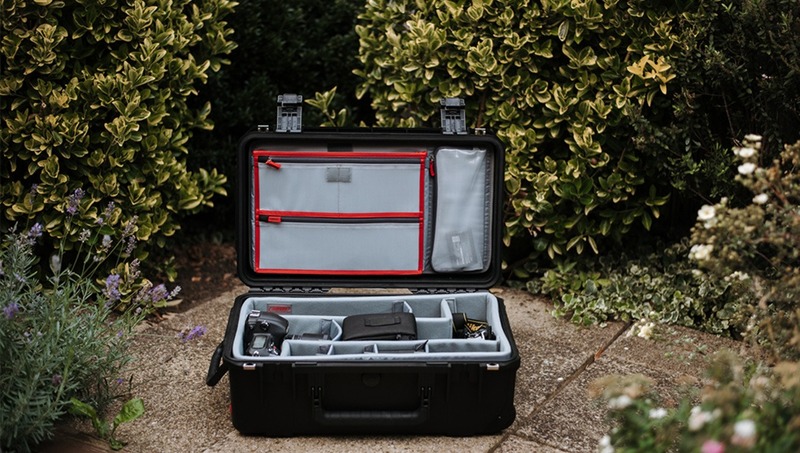 I can see this working well if you need to quickly grab your gear, for example from the back of your car, but don't always need the weight and security of the hard case. First of all, let me say that generally I store my gear rather haphazardly either around the house, such as, on a shelf or chest of drawers, some of it stays in my large backpack, and some of it goes in more drawers, for example my chargers. However, having used this case I actually like being able to store most of my gear inside it, neatly organized instead of scattered around the house, and even the cat enjoyed laying on it. The nylon dividers can be removed completely, including the soft foam liner interior of the case, as well as the top-load pocket, which is attached to the case with Velcro, leaving you with an empty shell if you ever need to transport something else within the hard case. This could be great for travel in general, if you find yourself flying out and only want to bring one camera with you and fill the rest of the case with your clothes and other personal travel items, instead of trying to squeeze it all in within the soft foam liner. Because I have been used to always having backpacks to carry my wedding gear, I instantly enjoyed the sturdiness of the case. Leaving my bags in the corner of the room during the wedding reception so it's still within an easy reach, I sometimes worry whether someone will bump into it or maybe spill something over it, but this case is the hardest one I've seen and guests are more likely to hurt themselves bumping into it than damaging your gear (don't forget to ensure you've got public liability insurance for that!). Furthermore, if you shoot weddings you're likely to have children in the proximity of your gear. Having a case with a lid that locks, I think, is less likely to entice young children to try and get inside of it when their parents aren't looking as opposed to a backpack. When you have a backpack with a bunch of zippers, there are times when you also may forget to close one of them, or someone may grab your bag without realizing it's still partially open potentially causing damage to what's inside or letting it fall out, but with this case there's only one way in and out. If the lid is secured, there's no additional pockets or zips to worry about. The bag is very easy to organize, and I found a little spot for majority of my equipment, from my memory cards to cameras and lenses. 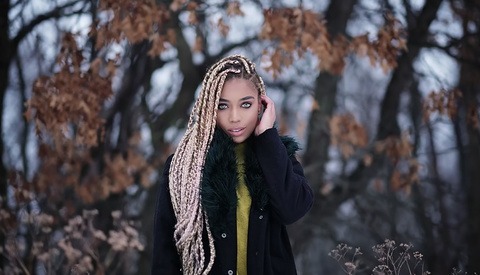 I had my Nikon D750 and D3 with me, three lenses, and a plethora of other things, such as chargers, camera, and regular batteries, and a flashgun. My Nikon D3 charger is a beast so it took up a lot of space, but I still managed to pack most things I needed. 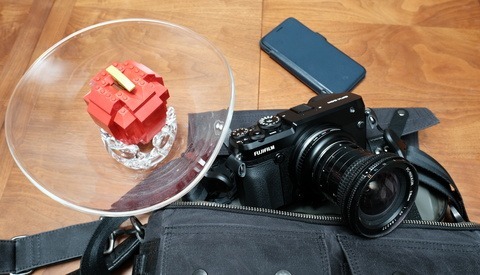 Because I generally transport my laptop in its own case, I didn't use the dedicated laptop slot, however, I found it useful for little bits, such as filters, prisms and other smaller items. The wedding was all in one place so I made the most of the pull handle and wheels, moving my case from one room to the next as the wedding went on. I must make a note that I shoot relatively light compared to others so those with a more extensive kit will need a larger case or a pair of them. I also liked how silently the latches open up the case, something that other photographers may find to be a nice touch, when you find yourself needing to open the case during a crucial moment and don't want to cause distraction, such as during a ceremony or while shooting a newborn. Bear in mind, it does make a noise when closing it, though. The first thing I noticed was the weight. I am very much used to traveling with my backpack, which I fill up to the brim, and it gets quite heavy. However, this case is a lot more heavy than what I am used to. 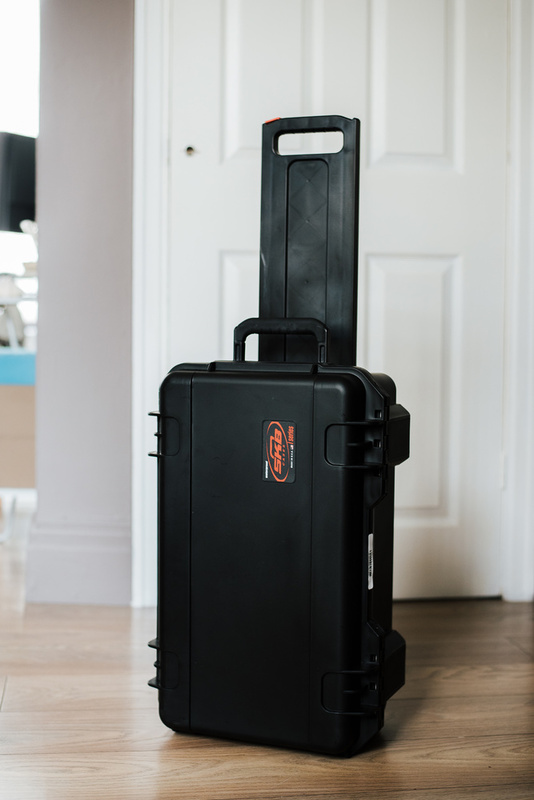 Because SKB have put so much effort into making the case so sturdy and secure for traveling, there's no wonder it all comes at a cost, which on this occasion is the weight. 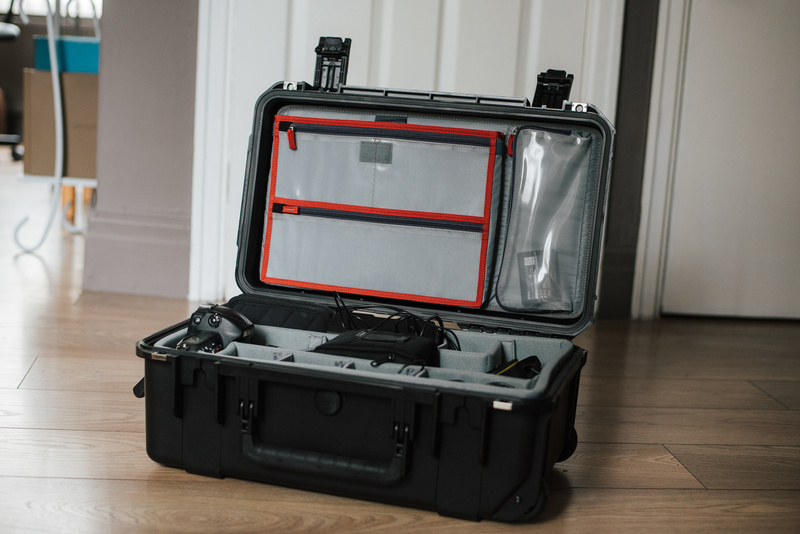 I wouldn't want to carry this case with me on every shoot that I do where I don't require all of my kit purely due to the weight, however, it's a great option for storing your gear safely at home. I can see myself grabbing my backpack for smaller shoots but heading to weddings or larger commercial shoots with this one. It's easy to store it in the house, whether you lay it down and put it in the corner or under the bed, or stand it upright. Continuing the weight point, what I noticed when I came back from the job and had to carry my case up along narrow stairs was that there could be another handle to hold when picking it up with both hands. When the case is full it becomes heavy and some people may struggle lifting it up, such as when putting it in the car if there are no grips on either side of it. Even if it's not another handle, it could perhaps be a more comfortable grip position on both sides of the case if you ever needed to lift it up or put it down with both hands. I must admit I didn't think I'd really enjoy using the case because of the way I have been used to transporting my gear all this time, but I did enjoy that feeling of additional security in the back of my mind knowing my gear is laying inside such a hard case. Depending on your preferences when traveling, you may feel the case lacks additional pockets, which I normally use for a bottle of water for example, but overall the case is a good option for those who travel often. If you have an extensive equipment kit, you'll need to consider the size you're going for because the one I had chosen was designed to hold two camera bodies and additional lenses, so my third camera Fujifilm X-Pro1, which I sometimes use to grab a few shots throughout the day, didn't quite fit nor did my video light. However, I didn't mind as I rather compromise by having another small soft bag for any additional items that I may or may not bring with me, instead of opting for an even larger case. 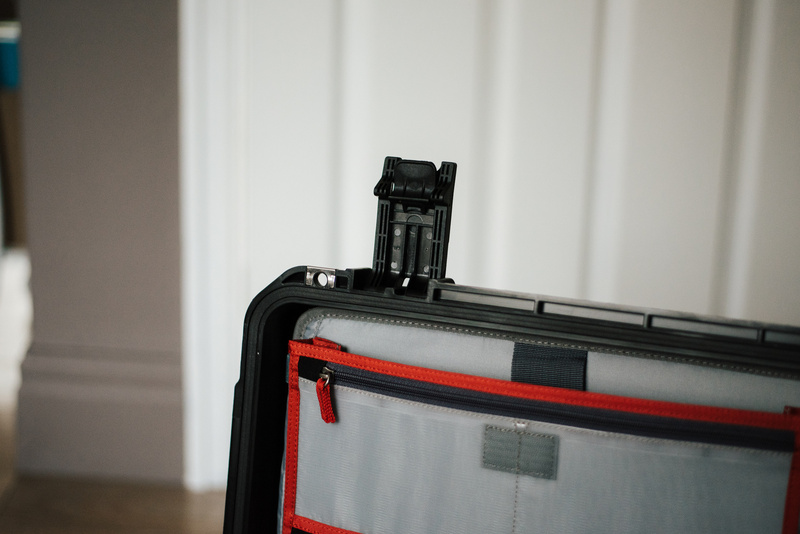 Overall, I found it to be a good and very secure way of storing and moving my gear, and the weight of the case is balanced out by having wheels and a handle which are very useful, especially if you travel internationally. It may not look that glamorous but if safety, ergonomics and durability is something that is important to you, the Flyer Series cases are definitely something for you to consider! You can view the full range here. I'm looking forward to seeing the case that comes with the Aputure kit. I have the Airport Takeoff, the Airport Security II, but nothing this robust for flight. And after reading/seeing this piece, I'm struggling not to pull the trigger. 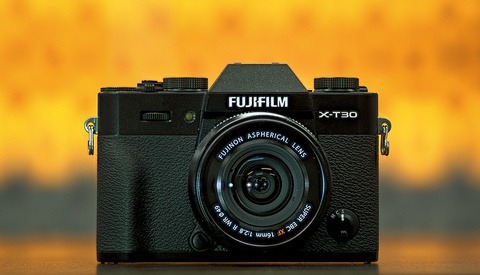 Maybe if I buy it, I will get more paid travel based shooting gigs? I’m an editor I made that choice long ago, chained to a desk but how I long for photographic travel sometimes when I’m going through some of that viz. Nice review, putting on the maybe one day category! Thanks Anete!